← Day 16: Replace Alarm System Battery. OK, back to the Shake. Now, before operating any kitchen equipment, blender included, it’s important to create the right ambiance, so that whatever you’re making truly embodies the spirit in which it was created. For example, if you were cooking for loved ones, you would want them to feel the love that went into the food. Or if you were mixing up a particularly potent batch of Ex-Lax brownies for the ex, that they captured the full essence of revenge that fuelled the baking session in the first place. So, when creating anything Irish, it is important to have a wee tipple to keep things as authentic as possible. Which brings us to today’s bonus, the cutest little shooter in all of Ireland: the Baby Guinness. Surprisingly, it contains no Guinness (or any other beer) whatsoever! Just 2 parts Kahlua to 1 part Bailey’s (use your own unit of measure, I won’t judge). And presto, instant crowd pleaser! A bartender’s all important tip: poor the Bailey’s into the glass over the back of a teaspoon, so that it is evenly dispersed and stays on top of the Kahlua. End result looks like a freshly poured glass of the big G, but tastes oh so heavenly. Enjoy! Just a wee baby G! 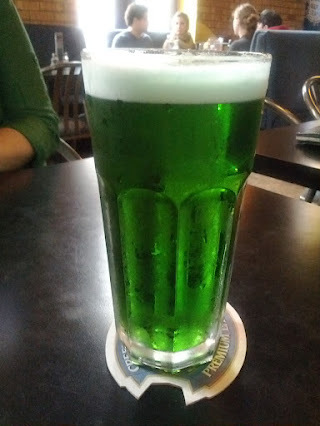 Right, so now that you’re starting to feel appropriately Irish (which a good friend recently reminded me is not so much a nationality as it is a blood alcohol level), back to the Shamrock Shake. 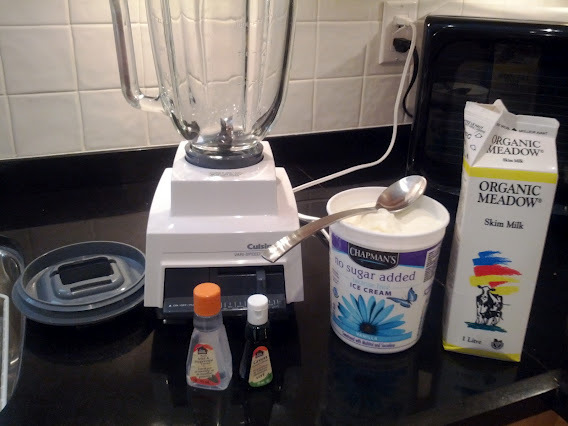 All you do is add about a cup of vanilla ice cream, 1/3 cup of milk, 4 drops of peppermint extract, followed by 3 drops of green food colouring, and blend away. Pour the lovely concoction into a cup, and savour the green deliciousness. Yum! I’ll be honest, it tastes like a peppermint patty to me, except without the chocolately goodness. I guess there’s always room for improvement. Hmm… maybe try it next with chocolate mint ice cream instead of vanilla? Now how good would THAT be?!?? Or add a little creme de menthe… Decisions, decisions! Now, being Irish for a day brings out the urge for confession. 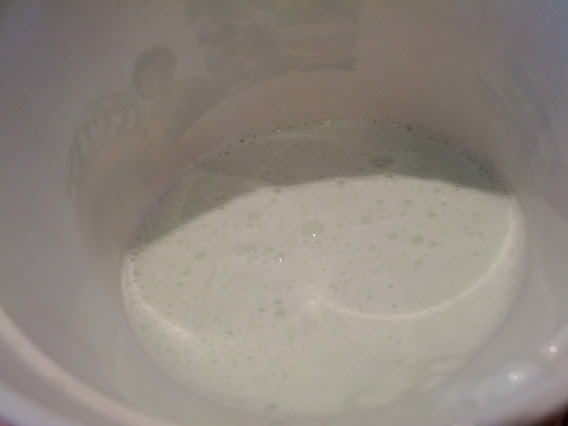 I’ve never actually drank an authentic Shamrock Shake from Mickey D’s before. Ever. I mean, why would you when there was a chocolate version available? Hello! So to get an objective opinion on its deliciousness, you’ll be glad to know that I took the shake for a road trip to a local pub for a tasting, and it got 4 out of 4 thumbs up. So relax, go ahead and give it a try! Note: Only one of the below pics is of the Shamrock Shake. If you are getting these confused, congratulations, you can consider yourself Irish. Sláinte! 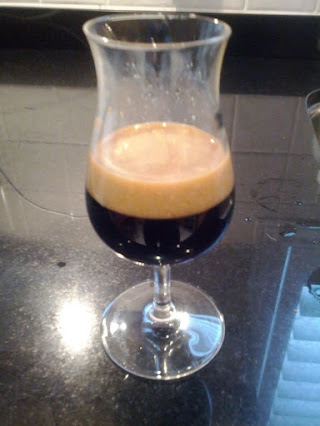 This entry was posted in Food and Drink and tagged baby Guinness, ice cream, Ireland, March, milk, shake, shamrock, slainte, St. Patrick's Day, who's your Paddy. Bookmark the permalink.